The latest 2016 Swiss Sport Watches for Men Wryst Elements are some of the most futuristic extreme sports-inspired timepieces out there. The latest release are no exception with an aggressive 3 hands date dial design. All references are brighter, louder and more colorful than ever before. 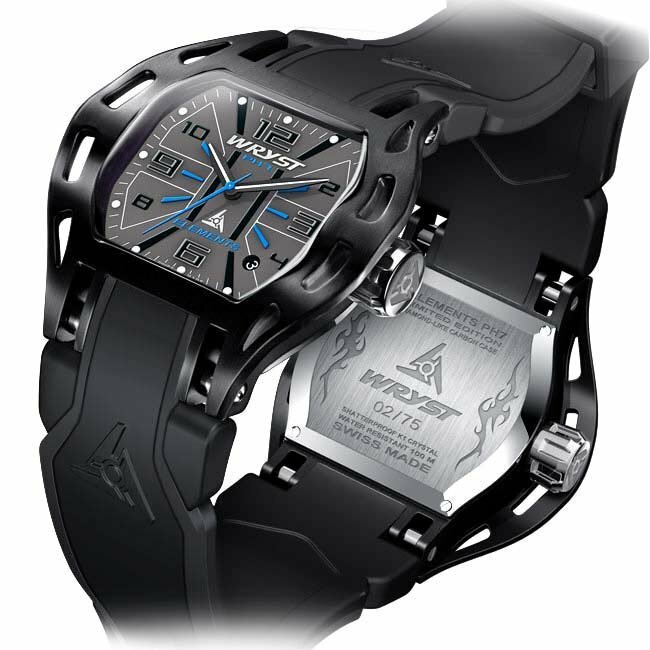 The new sport watches are totally unique in the watch industry and produced in limited editions of 75 pieces. How strong is your sport watch? 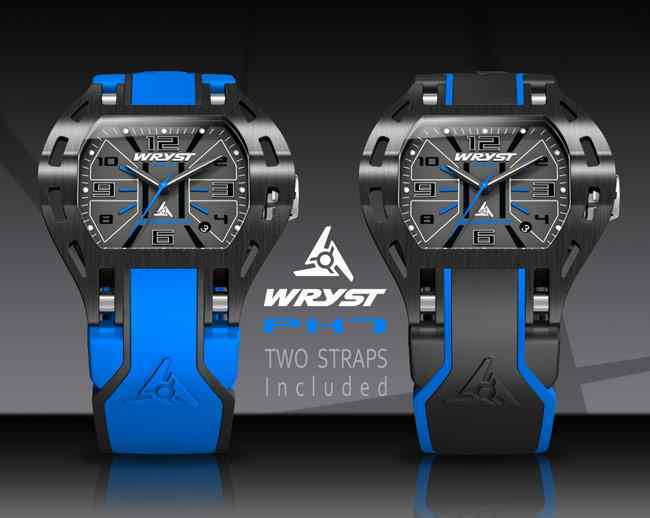 The Wryst Elements sport watches are created to withstand the toughest outdoors hostile environments and unintentional shocks. With a highly complicated one-piece case, the stylish watches are protected with scratch-resistant black DLC coating for an unforeseen durability. This feature has now become a signature asset for Wryst which represent unprecedented value for money. This year’s collections are all fitted with screw-down crowns, an important factor in securing 100 meters of water resistance for these extreme sports watches. Each watch from the Elements collection is including two different straps. Adapt you everyday lifestyle to suit your activities by changing the strap. 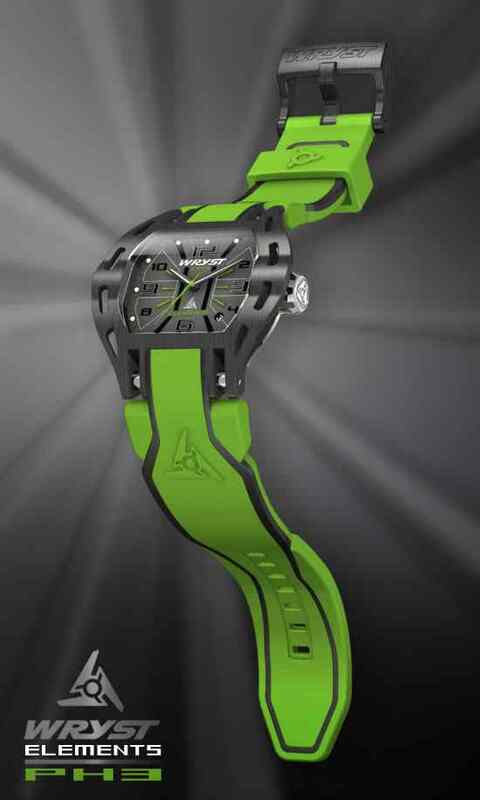 The high quality ultra comfortable two colors strap will change significantly the overall look of your sport watch. Available exclusively for online purchase, choose a black Swiss sport watch with colors accents in green, yellow, orange, red and now also in blue. All references are made with grade 516L stainless steel and shatter-proof K1 crystal with anti-reflective coating.